Home > Ask Our Experts > Obsessed With Cleaning: Does He Have OCD? 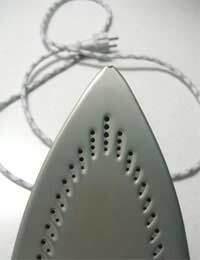 My husband has been obsessed with ironing for the last 6 months and even if I have cleaned the house from top to bottom he will clean it again. He even comes home in his lunch break to wash and iron - is this OCD or am I going mad? Help! Feeling the need to clean on a very frequent basis is one of the most common signs of Obsessive Compulsive Disorder (OCD). Obsessive cleaning is one example of the type of activities and “rituals” that OCD sufferers need to perform regularly to relieve anxiety. This OCD symptom is usually borne out of a fear of contamination. As the OCD sufferer is so keen to avoid the possibility of coming into contact with dirt or germs, he or she will go to great lengths to keep things clean and tidy – even if this takes up a good deal of their time. As well as cleaning objects and surfaces on a frequent basis, obsessive cleanliness can also take the form of repeatedly washing hands and clothes to avoid dirt and germs settling on them. This type of behaviour can be difficult to cope with, especially the person in question has not previously displayed OCD symptoms. Anxiety rituals such as frequent and obsessive cleaning can have a big impact on the rest of the household. In this situation, it can become irritating or even insulting if the OCD sufferer repeatedly feels the need to clean or re-clean after you have already done so and this can create tension. If this becomes the case, try not to let your frustrations show too much as this can result in more anxiety for an OCD sufferer. This can in turn contribute to a vicious circle in which the increased anxiety makes him or her feel even more of a need to perform their OCD rituals. If you are confident that your husband's obsessive cleaning is a sign of OCD, and that it is a big enough issue to warrant treatment, there are several options available. This can include Cognitive Behavioural Therapy (CBT), which aims to change the thought patterns of OCD sufferers to break the anxiety that is triggered by the unsuccessful performance of a ritual. This is more effective than taking OCD medication as it is a way to break the cycle, rather than simply helping to deal with the anxiety. I feel somehow happy to hear that I am not alone in this situation. My husband is a lovely man, beautiful, charming, intelligent and a great father. However I can feel that OCD is taking so much of his one, he spends hours cleaning his stuff with tissues, he takes long showers along the day, he took control of the washer, the mop, ... He wants to move on with his career, and for that he needs to take a big step forward - I know that's his dream, however he is stuck, trying to find the perfect moment to do it, getting thousands of excuses to postpone the project, because he wants everything to be perfect. Instead he blames me for not achieving the goals. OCD is stopping him from trying to succeed, he is locked with his obsessions of being perfect and clean that he can't find the time to just start. I want to help him, because I know that if he doesn't try, he will be very unhappy. My husband is naturally anxious.On top of his anxiety, hypervigilance, palpitations and shaking, he is over sensitive and will cry over nothing.He sometimes has up to 6 baths a day, is a hyperchondriac but does suffer from Ulcerative Colitis but exaggerates the symptoms.He is constantly stressing and cleaning and can take up to an hour to iron his shirt.It is driving me slowly round the bend and has got worse since we nearly divorced a year go.Will he get worse as he gets older as i would rather put a gun to my head now if that's the case. I'm ashamed to say, that I have to clean my house everyday from top to bottom, my husband believes that this is quite obsessive of me. I didn't think much of it until my daughters health visitor came round and said that it wasn't right. As much as I try I can't not have a tidy house and if for any reason there has to be mess I.e redecorating I start to get quite agitated by it! Is there anything I can do as I really don't want this to rule my life and miss out on my daughter growing up. Thankyou. When I get a thought in mind, for example, I may be driving my car and I think 'i hope my car doesn't break', I have to 'touch my head' (like 'touching wood) to re assure myself that it wont break. I think it is likely to be connected to God, and feeling that he'll protect me, IF i do that. I do it a maximum of 5 times a day for different things. Help!